Are you looking for the best WordPress themes for SEO Agency? You may want to choose a theme that reflects your SEO and marketing skills. So, I have hand-picked some of the best WordPress themes for SEO agency that you can use for your website. Today, there is no simpler task than find a beautifully designed theme for your online business. Theme developers and marketplaces leave the wide audience impressed with an incalculable number of beautiful themes fitted with a splendid list of functions included. But before you get started you have to remember, all that glitters is not gold. The appearance of your website is the most important part of the successful online promotion. If it doesn’t meet the requirements of a search engine, your website won’t work effectively . Valid and Clean HTML Code and Responsiveness and Retina Ready are 2 core functions you need to look for your marketing or SEO agency. SEO Agency provides everything you need, to make a perfect website. So without further ado, let’s get started with the list of the 10+ Best Premium SEO Agency WordPress Themes for any SEO agency or digital marketer. SEO Engine is a responsive SEO & Digital Marketing Agency WordPress Theme. The theme helps you to make unique website from others and to attract your target clients. The theme is retina ready & fully responsive and through this features you can display your site with a high resolution at any device like notebook, iPhone laptop etc. BoostUp is the perfect toolkit for crafting SEO marketing websites. The theme is the perfect fit for all marketing, social and seo agencies, as it includes numerous practical elements and a large assortment of home and inner pages specifically designed for SEO and marketing businesses. Mr. Seo an extraordinary SEO website to build one for your marketing and social media agency. The theme is compatible with many plugins that are of utmost importance for SEO websites, such as the Google Anlytics by Yoast plugin, the All in One SEO plugin, and many more. GeoBin is a powerful WordPress Theme for SEO, Corporate, B2B websites. The theme can be used for your every Marketing-related needs. It comes with Elementor Page Builder, bootstrap 4, Home Page Variations and Header Variations. GeoBin is a solid All-in-One Marketing WordPress Theme for a better experience. SEO Lounge is the theme for SEO and Digital Marketing Companies. The theme is super fast and very responsive. It works best for any SEO, Online Marketing Company, Reputation Management, Social media marketing agency. Marketing Pro is an All-purpose Marketing WordPress theme. The theme is perfect for digital/online marketers, SEO experts & business owners. The theme is focused on building websites in the marketing, SEO, Landing, small/big business niches. 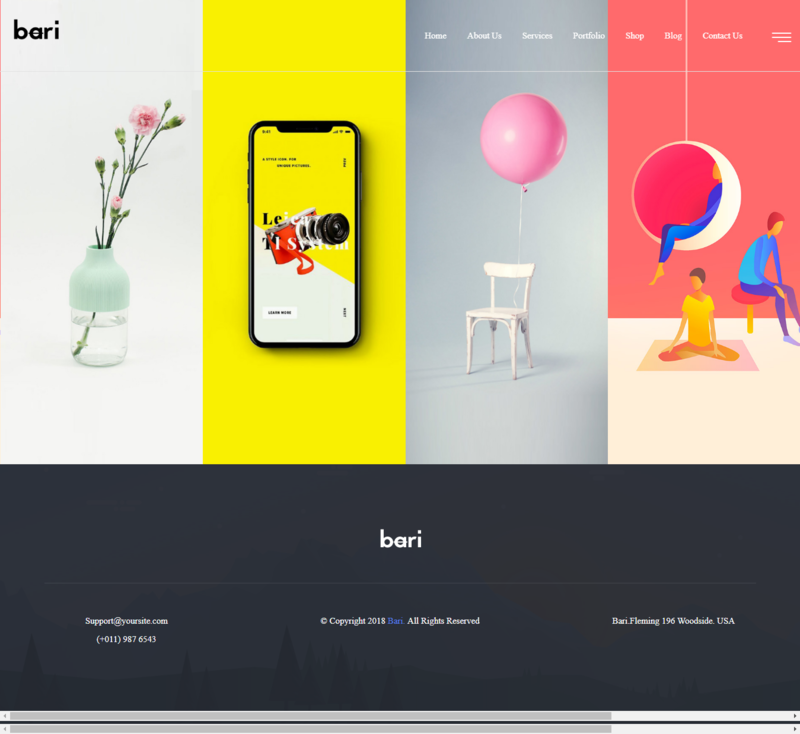 Bari is a powerful Easy to Use, SEO /Digital Agency / Multi-Purpose WordPress theme. It comes with a lot of layouts for blog pages, services, landing pages and others. The theme is perfect for companies that offer SEO services as well as other internet marketing related services. Seocify is specially created for Seo and digital marketing Agencies. The theme is beautifully designed in a very smart way to bring the best user experience that you will love. The theme is suitable for many kinds of online business such as Online Marketing, SEO Agency, Digital Marketing, Social Media website. SEO Crawler is super powerful SEO agency WordPress theme. The Theme is suitable with many kind of business such as SEO Agency, Online Marketing, Digital Marketing, Social Media website. It is compatible with major SEO plugins such as Yoast SEO, All in one SEO, Rankie, W3 Total Cache. SubTech is a Digital Marketing & Software Consulting WordPress Theme. The theme is designed and developed using Latest Bootstrap and WordPress Technology along with HTML5, CSS3, and jQuery. The theme looks good and accommodates its contents according to the device you are using to view it. Gretna is a powerful, Highly Customzable SEO /Digital Agency / Multi-Purpose WordPress theme. It comes with a lot of layouts for blog pages, services, landing pages and others. It is suitable for companies that offer SEO services as well as other internet marketing related services. This article is the collection of some of the Best Premium SEO Agency WordPress themes that are carefully handpicked and well tested. All these themes come with amazing functions and features. Also, it includes beautiful designs so, you can create a beautiful website easily. Hey Buddy!, I found this information for you: "10+ Best Premium SEO Agency WordPress Themes". Here is the website link: https://8degreethemes.com/blog/best-premium-seo-agency-wordpress-themes/. Thank you.